We all know how important it is to be active. 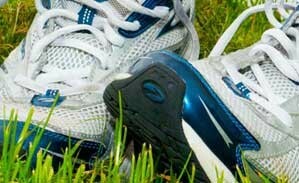 The good news is that you don’t have to go to the gym or start expensive fitness programmes, walking counts too! Just ten minutes of brisk walking every day can get your heart pumping and can make you feel more energetic, as well as lowering your risk of serious illnesses like heart disease and type 2 diabetes. Going for a brisk walk is also a great way to clear your head. To help you get started, a new strand of work from Public Health England’s One You programme is encouraging all adults to build more physical activity into their life by simply walking briskly for ten continuous minutes or more every day, known as ‘Active 10s’. Active 10s are simple to fit into your day, from taking the dog out to going for a lunchtime walk. There is a free Active 10 app which shows how much brisk walking you are doing and where you can fit ten minute bursts of brisk walking into your day. You can find out more about the app below, or download it here. The Institute of Osteopathy is delighted to be working in partnership with Public Health England on One You and hope to inspire thousands of people to become more physically active by using Active 10. For more information on keeping fit and healthy, visit your osteopath who can provide guidance and advice to help you get active. You can find an osteopath here. Making better choices today can have a huge influence on our health, and could prevent conditions like type 2 diabetes, cancer and heart disease, and reduce our risk of suffering a stroke or living with dementia, disability and frailty in later life. Physical inactivity is a major cause of disease and disability for adults in the UK and costs the NHS millions every year. The campaign, Active 10 was created following research which found that 60% of middle aged adults had not walked for 10 or more consecutive minutes in the last month. Active 10 aims to highlight the difference that at least ten minutes of physical activity a day now, can make to your health in later life. 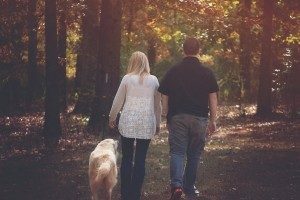 We all know the importance of being physically active and the good news is that just 10 continuous minutes of brisk walking counts as physical activity. Brisk walking is simply walking faster than you would do normally, which gets the heart pumping, makes you feel more energetic and helps to improve your mood. Over time it can also help to lower the risk of serious illness like heart disease and type 2 diabetes. Active 10 has a free app you can download which includes tips and encouragement to help you fit ten-minute brisk walking sessions into your daily routine. It also tells you how much brisk walking you are currently doing as well as helping you to slowly build up from just 10 minutes of exercise to 30 minutes a day by providing regular rewards, challenges and encouragement. Active 10 is the latest physical activity campaign from the One You programme, devised by Public Health England. One You is the first national programme that seeks to encourage adults to make positive changes to their everyday behaviours that could see them avoid many of the diseases caused by modern day lifestyles. It is estimated that habits such as poor diet, excessive alcohol, smoking and a lack of activity – are responsible for around 40% of all deaths in England and costs the NHS more than £11 billion a year. 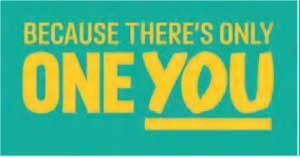 The One You campaign provides positive lifestyle messages on areas such as smoking cessation, eating, drinking, sleeping and moving to inform, energise and engage millions of adults, especially those in middle age. One You also provides information on free health checks and how people can reduce their stress levels and sleep better. Osteopathy is a profession that focuses on creating an environment for supporting the health of our patients and the One You campaign, with its focus on positive messages for overall optimal health, is a campaign that aligns well with our osteopathic principles. Osteopaths are ideally placed to provide health advice and guidance to aid people to make the changes proposed by the One You campaign, and demonstrate that there is far more to osteopathic practice than just treating backs. How are you?nhs.uk/oneyou/hay This 10-minute quiz will give you an idea of improvements you can make to better your long-term health. Active 10 App (https://www.nhs.uk/oneyou/active10) Download this app to see how much brisk walking you currently do and set new targets for physical activity. Visit the Active 10 website to find out more nhs.uk/oneyou/active10 Are you interested in finding out more about Public Health England’s Active 10 and One You campaigns, visit the link above to find out more.